All ONE TWENTY FIVE PALMWAY C homes currently listed for sale in Lake Worth as of 04/26/2019 are shown below. You can change the search criteria at any time by pressing the 'Change Search' button below. 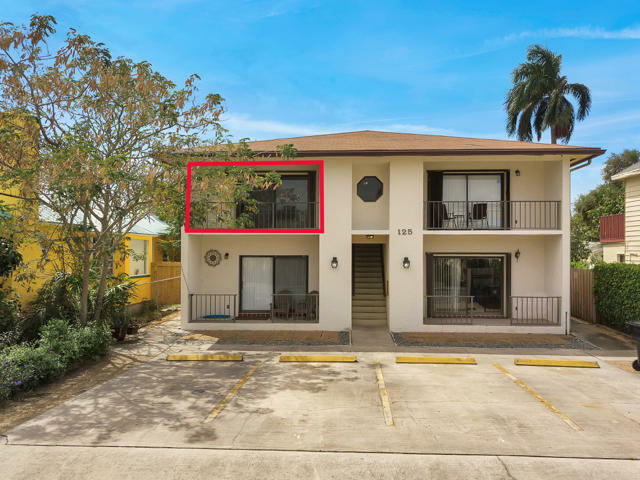 "Top Floor Unit with large living area and only 2 blocks to Downtown Lake Worth! Walk to All! This unit has fresh paint, new closet doors, updated kitchen, updated electric panel, washer dryer, central A/C, and off street parking in fron and rear of property! Bring Fido and you can rent this unit out as well. New roof going on the building as well."